Sing Out for Your Chance to Catch Idina Menzel in If/Then! 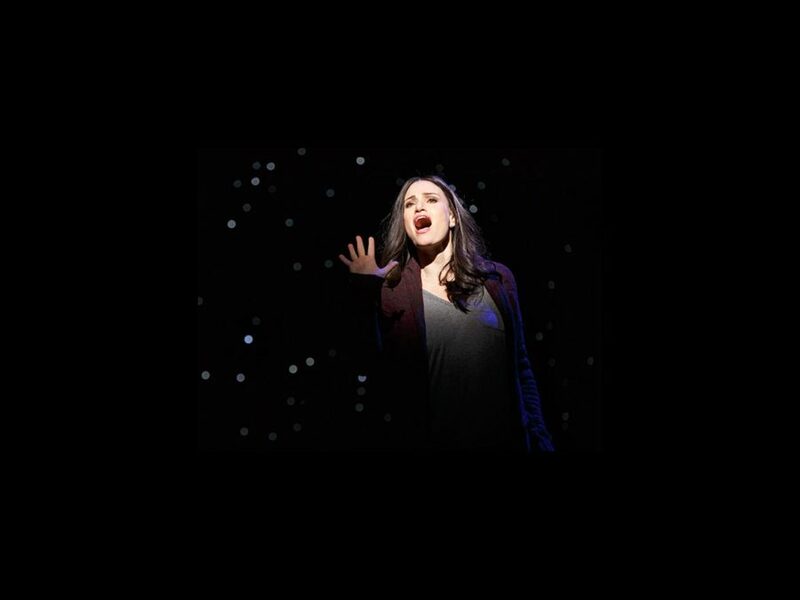 Idina Menzel is bringing Liz/Beth—cardigan, blazer and all—on the road in the national tour of If/Then! We’re giving you the chance to fly out to catch the show at the Segerstrom Center for the Arts in Costa Mesa, California (airfare and hotel included), and all you have to do is belt your brains out for the Tony and Broadway.com Audience Choice Award winner. In the second act of the Tom Kitt and Brian Yorkey musical, Elizabeth delivers her big number, “Always Starting Over.” But why should she be the only one who gets to sing it? Post your own cover of the song on YouTube and share it with us for your chance to see Menzel sing it live on stage in If/Then. Contestants have until 3PM on October 8 to submit their performances. The next day, up to five finalists will be revealed, and the general public will vote for their favorite. Menzel, who kicks off the tour on October 13 in Denver, Colorado, will announce the winner on Broadway.com on October 20. Get the rundown from original Broadway cast member Jackie Burns below, then CLICK HERE TO SUBMIT YOUR VIDEO and get all the info you need. Remember to warm up first!